Are you creative enough to add some unique designs in your favorite hat? 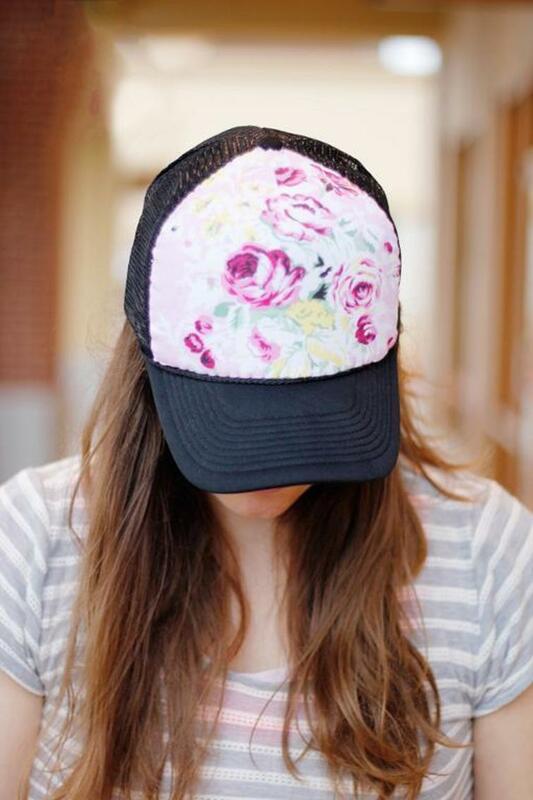 Get the FREE template for a floral trucker hat and try your creativity. A good idea to make one as a gift for your loved ones who like hats, too! Check the FREE template HERE. I don’t usually wear this type of hat, my hair is long and I wear it up 99.9% of the time. I have 1 though I could try this on. My husband wears them in summer, I could change up a few he rarely wears because he doesn’t care for the logo. I will add a hint/tip though, I wear visors to work in the garden. When towels begin to wear in the middle, I usually make rags out of them, serging the hems, making them about the same size so storage is consistent. At times I have some strips leftover, I didn’t want to waste them, so I whip stitch a cotton terry towel strip around the brim of the visors and garden hats. It makes them more comfortable, absorbent, and they last longer. I bag them in a lingerie bag, pin bag closed, and throw it in the washer with like colors, air dry. I have noticed instead of one season of wear, I get two or three. Some are matched, contasted, or patterned. I buy most of them at the end of season sales and have all winter to get them ready. Those plastic and metal bands can give headaches, but this really helps prevent that. Now tthe brims wear out before the bands.